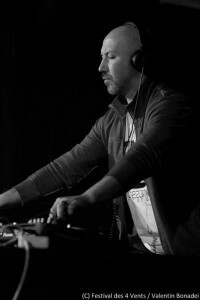 Co-founder of The-Zone Records, one of Italy’s largest labels, and host of The-Zone radio show, Lius has been present on the electronic scene for over 20 years. Together with his partner Mat, he’s signed up artists such as The Advent, Audio Injection, Space Djz, Aux 88, Egyptian Lover, Alex Bau and many others. The label’s radio show is broadcast through three different channels in FM space and streamed over the internet. A talented DJ and composer, Lius has played in many prominent clubs and festivals across Italy and abroad, as well as having organised a number of electronic events with an array of international guests. His artistic track-record also includes several multimedia installations and avant-garde theatre performances. Since 2008, he is collaborating with the Warner Chappell Music, composing musical tracks for films produced in Italy.